Viruses that what every one scare and so cares to avoid it, prevention is better than cure but however it sets its step into our Pc, looking for a right moment to get in spoil all the files that are in. Though we have comeover many of them and cleared them but here one particular virus is very arrogant and aggressive :) which made upset me ever before, it consumed hardly 11/2 to 2 days to get set my Pc back right. Win32:Sality dropper is a polymorphic virus that infects Win32 PE executable files it also contains some related Trojans Win32/Heur, and opens the backdoor for many adware, malwares and spywares and is responsible for producing corrupt files in windows system. It searches for appropriate executable file on all the drives of the system and infects them. 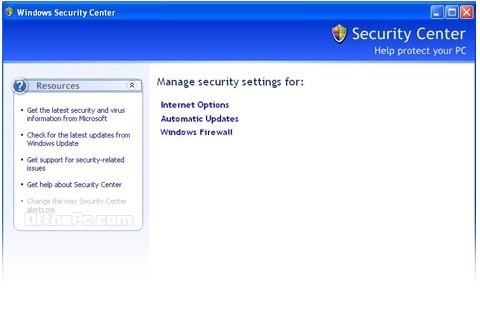 It also treats with different names Virus.Win32.Sality.aa or Virus sality. This very intense viruses that not only affects the system but also a headache (swirl up our head) care needed while handling pen drive because there where many of them get struck and of course me too. If a drive is clicked in windows explorer, it opens in a new window. It replicates its copies in each folder of the drive. In firewall you find no indication information letting no way change any of them. New icons and shortcuts are displayed on the system. It hijacks system browser and toolbar and changes homepage. Installers stops functioning but letting odd errors. Billy.exe will be found in Task Manager Process. Modifies and deletes some of the registry entries that may cause "Blue Screen" error. Avg showing frequent annoying pop up. Restore and safe mode doesn’t works. The speed of the system becomes very slow and it takes longer duration to start up and shut down. Woog.exe and kglw.exe (undeletable) will be found in the folders or drivers. This is enormously dangerous malware that affects the system in various ways. When it installs into the system it starts performing malicious operation on the users system. • Stops running of security programs and applications. • Infects the system through spam e-mails. Corrupt downloads and websites. • Deletes files that that has.vdb and.avc extension. • Keeps an eye on system activity and tracks all your browsing activity. • Steals login names, passwords and other private and sensitive information of the system and send these private information to hackers. All the common aiding steps (format, scanning etc..,) what we prefer doesn't work but instead made me struck what to head next? My free Avg also helped me not from this trouble but partly I relieved through Win 32 Sality Virus Remover and partly by Malwarebytes' Anti-Malware. Finally I removed AVG installed Avast, made to run the scan on all the partitions remove them and scan the boot up, Format the drives one by one exchanging the files and contents to another, disinfect the entire virus discovered. But again some viruses remains infected, place the infected files in one folder and move the remaining excluded .exe to other, format the infected partition. This time you get rid of all the problems but if not that format c drive and reinstall the operating system.